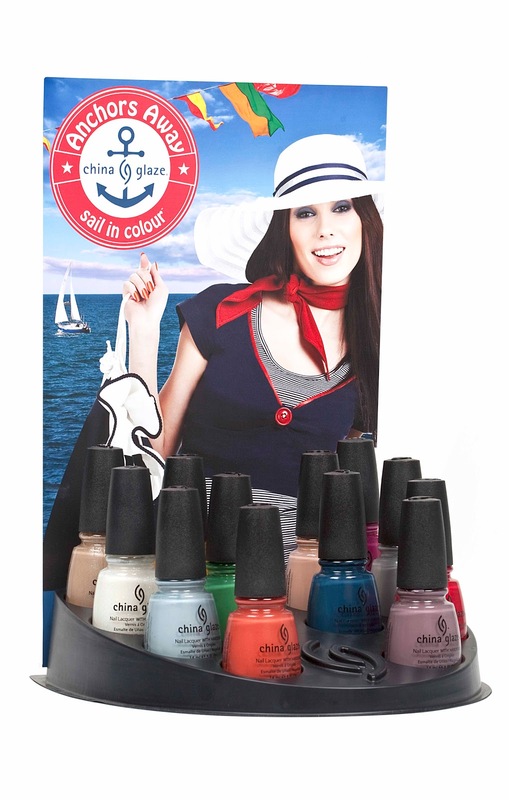 This spring, take a relaxing trip to the shore and sail away with China Glaze. Stop and smell the sea breeze! The China Glaze Anchors Away collection will be available in two 6 piece acetates, a 12 piece display, a 36 piece rack, and as open stock colors. I can't wait for this collection!